This event will take place on Saturday, May 19 at 1:00pm, rescheduled from May 12. 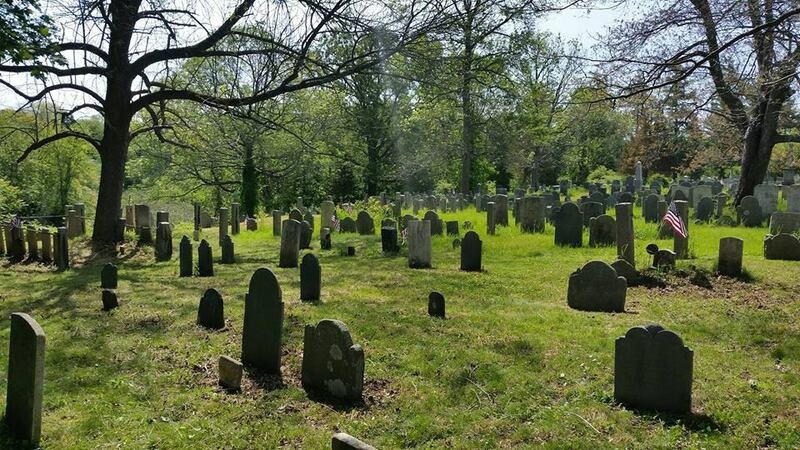 Learn about some of Newbury’s early citizens and the stone carvers whose work marks their final resting places. Stonework historians James and Mary Gage lead this tour through First Parish Burying Ground, pointing out the trademark techniques and designs of Newbury's stone carvers and explaining the symbolism in their work. Stones in this cemetery date to the early 18th century, and many of Newbury's most prominent early citizens are buried here. Dress for the weather! Parking is available at First Parish Church, directly across the street from the cemetery. Reservations recommended due to limited availability. Contact 978-462-2681 or info@newburyhistory.org.